Abu Muadh has taken a whole new approach to making a difference, and it’s proving to be impactful. There are many technologies available to us today that provide support to those in need. Several innovative services and platforms are on a mission to: improve the state of elderly-care, provide education in rural areas, enable access to better hygiene and much more. Yet, it seems like not enough is being done. When the young and ambitious Abu Muadh stepped into the world of entrepreneurship, he felt the same way. 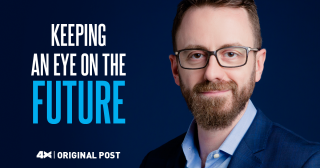 The passion to make a difference was intense and he wanted to combine it with his technological acumen to create something that had the capability to make a large-scale impact. Months of research led him to a glaringly obvious gap: the personal development of blue-collar workers. So, on May 1, 2016, he launched Smart Labour – an exclusive platform for labourers that aims to make them happier, smarter and more productive. “We help organisations with blue-collar staff to improve their productivity via tailored educational content in multiple languages and through digital engagement by encouraging blue-collar workers to submit feedback, suggestions and report security incidents via voice notes (in their language) and via pictures. Our platform has a full-fledged video course to teach basic English. The idea is to improve things at their workplace by eliminating any language and communication barriers. Have you heard of the technology that allows a construction worker, for example, to provide feedback/suggestions in his language with one click? We all subconsciously look at a blue-collar worker as a doer and not a thinker! Many of them have great ideas and suggestions, but lack the communication skills to express themselves,” explains Muadh. Funding aside, there are many more feathers in Muadh’s proverbial cap. His company was a semi-finalist in MIT’s Pan Arabian Awards 2017. He has also managed to sign a contract with Dubai Taxi to help their drivers using his platform. “We’ve developed a bespoke application for Dubai Taxi to reward their drivers and help them better understand regulations and customer service principles. We are focusing on a strategic objective that can potentially bring a direct benefit to the blue-collar worker and the employer. 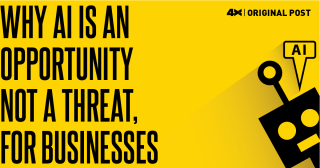 Like in the case of Dubai Taxi, we are focusing on improving the driver’s soft skills with a strategic objective of reducing their fines and black points,” shares the entrepreneur. 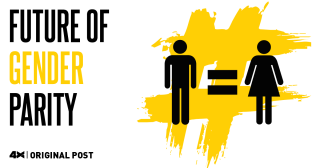 More recently, he launched a food service in Ramadan, where labourers put in a request for food, residents then buy the food online and labourers pick up the food by showing a voucher code at partner restaurants. 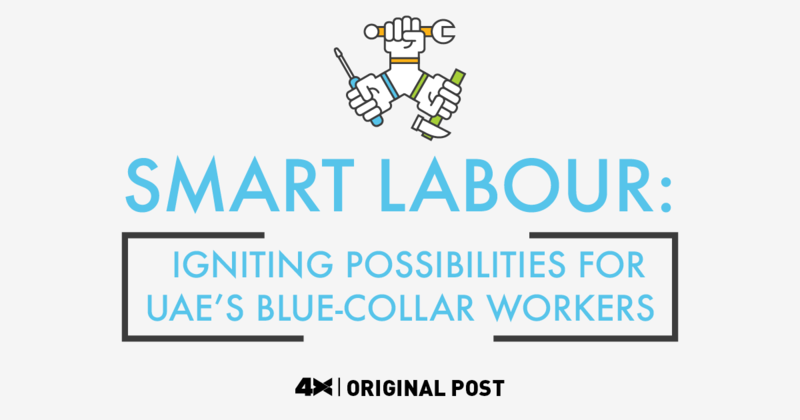 Smart Labour also ran a competition on Facebook asking people to nominate a blue-collar worker, who could win a smartphone. “We received many nominations and the final winner was a housemaid in Abu Dhabi whose mother in India did not have a phone and was always inconvenienced by talking to her daughter from a neighbour’s house. She sent the smartphone to her mother so that she can talk to her easily and see her via the Internet. I went to Abu Dhabi to give her the phone and the lady was overwhelmed and it felt so good to connect her to her family,” Muadh reminisces. These achievements and small joys drive Muadh to continue pursuing his single mission: leave a lasting impact on UAE’s blue-collar workers and contribute towards the country’s happiness agenda. “I close my eyes and dream of a day when every blue-collar worker will use a smartphone and will be fluent in basic English and Arabic. This thought motivates me every day to do more for Smart Labour. I can’t imagine what kind of impact we could create by technologically-enabling 52 per cent of UAE’s current workforce!” Through his work as a social entrepreneur, Muadh hopes to inspire more people to identify gaps and come up with new ideas and services that could have a social impact. Smart Labour is facing some tricky challenges such as getting labourers to sign up and convincing employers of the app’s tremendous impact. 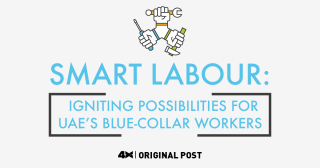 “Since Smart Labour is a completely new concept, we are facing a challenge in identifying employers who are willing to give us a chance to show them how we can help them make blue-collar workers happier and more productive. Also, social entrepreneurship is relatively nascent and it is taking some time for people to understand what we stand for and what we are trying to achieve,” he says. Abu Muadh has given himself two years to achieve a tough milestone: reach 2.2 million blue-collar workers across the UAE and get them onto his platform. One reason for his confidence is that his solution is currently undergoing significant updates that will bring in wider benefits for its users. For instance, his team is going to launch an online rewards store that will offer residents and employers multiple options to reward workers based on the progress they make towards learning objectives and work targets. The application will broaden its range of rewards to include toys, electronic devices, groceries, telecom packages and much more. “We are currently working closely with relevant partner associations to see how we can offer the most enticing incentives. Imagine gifting a toy to a worker that is going on a vacation back home or giving him a 50 per cent discount on air tickets; all with a few clicks! Most importantly, we are revamping our platform based on actual feedback from labourers and their employers. We are offering free POCs to employers with blue-collar workers with a guaranteed productivity improvement and to expand adoption,” he explains. 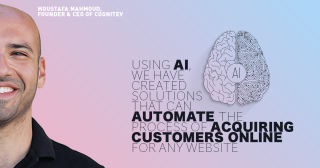 Abu Muadh’s work provides a powerful testament to the potential of technology to transform lives and power widespread solutions to improve general wellbeing. “There are real challenges for the blue-collar workers, and we need to unite using relevant technologies to tackle them,” he concludes.